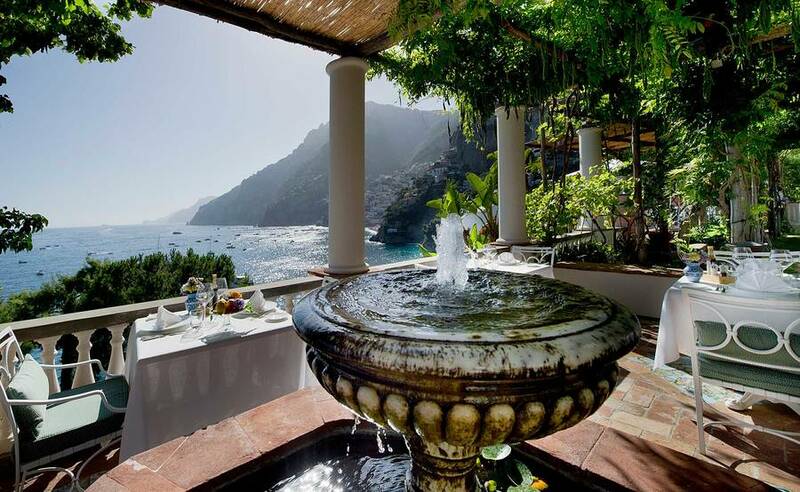 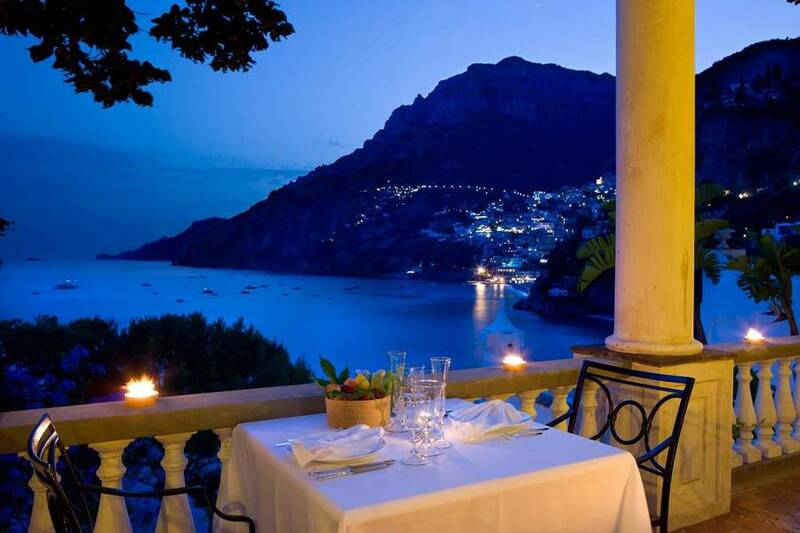 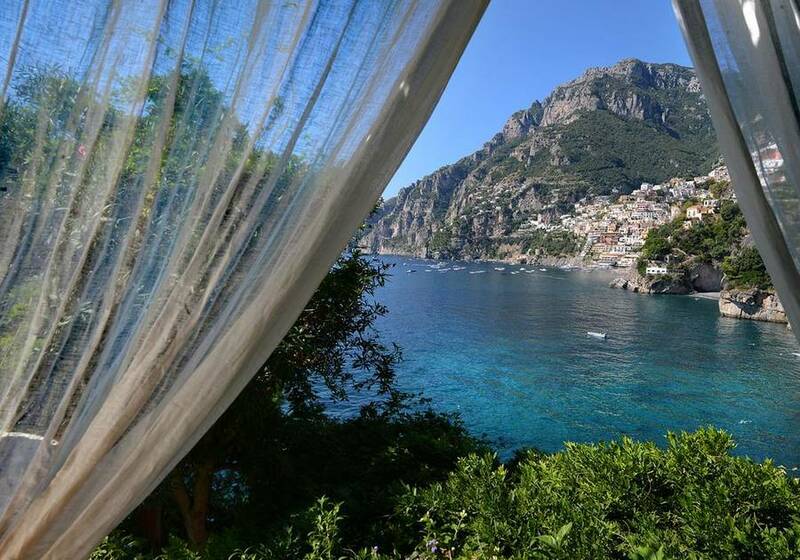 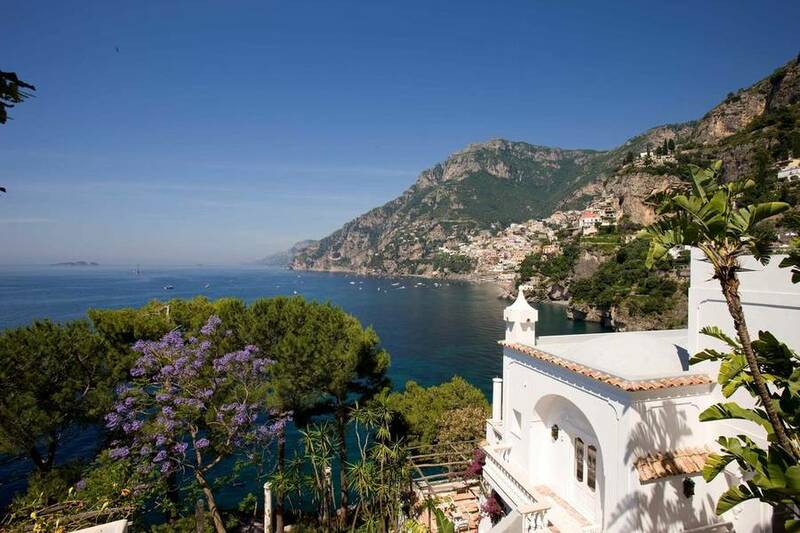 If you'd like a little preview of heaven, book a suite at Villa Treville in Positano, a charming group of villas perched on the dramatic cliffs of the Amalfi Coast boasting stunning views and luxury services. 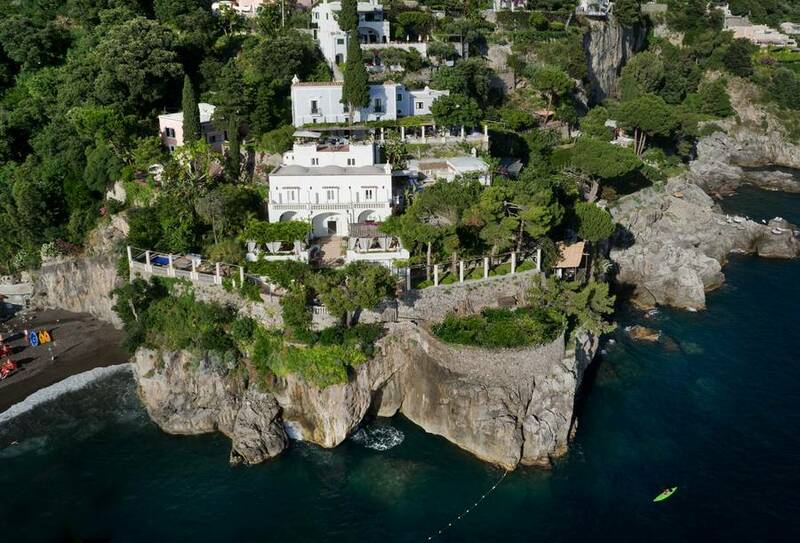 More like a film set than a vacation villa, this spot is so panoramic that even the director Franco Zeffirelli chose Villa Treville for his summer holidays. 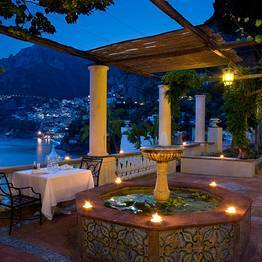 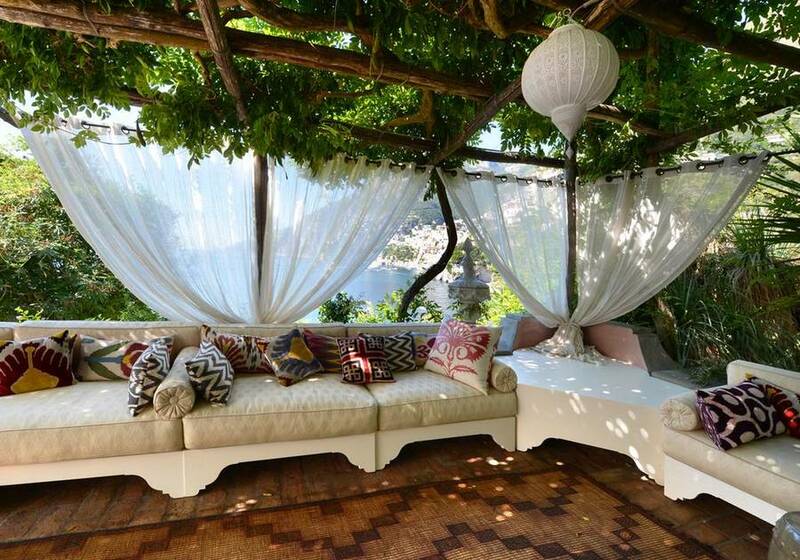 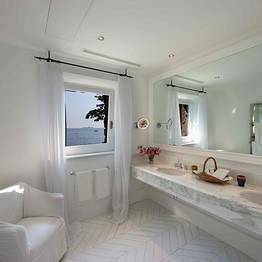 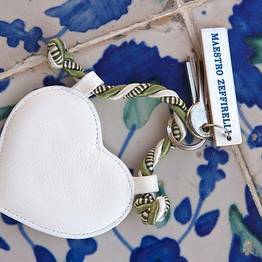 The property has been transformed over the years into a boutique hotel offering 15 exclusive suites, each dedicated to a celebrity guest from the past, distributed among the four independent villas making up the estate: Villa Bianca, Villa Rosa, Villa Azzurra, and Villa Tre Pini. 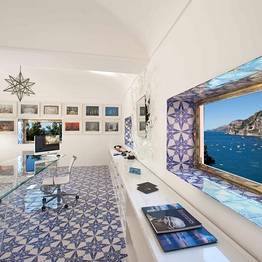 Some suites offer terraces, private gardens, and balconies with a view, but all have a stunning decor inside featuring prestigious furnishings and elegant interior design with pieces from across the world blending perfectly with the tones and colors of the Mediterranean. 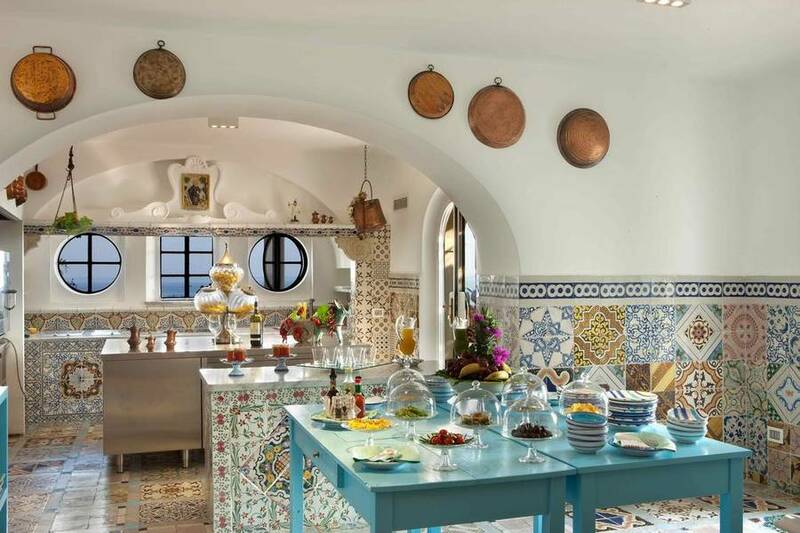 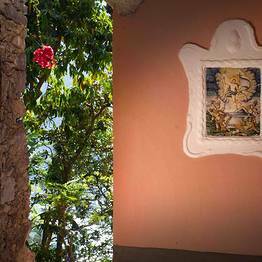 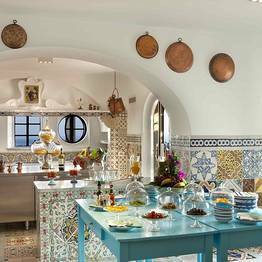 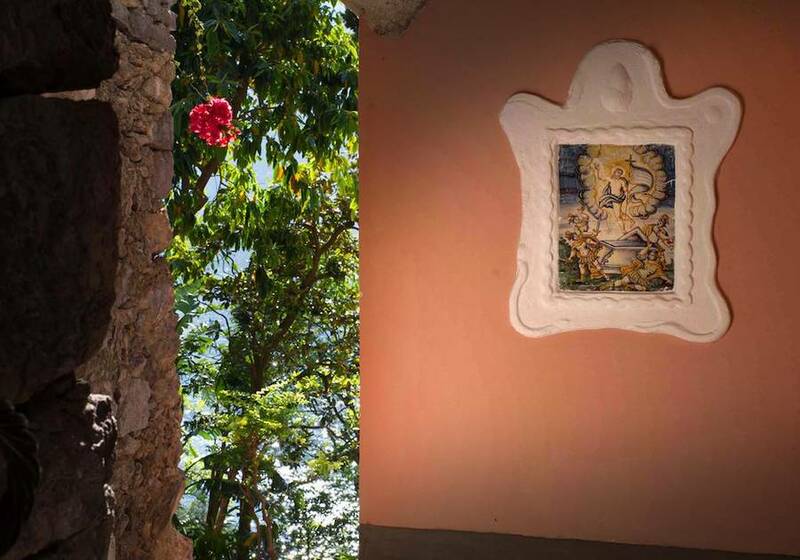 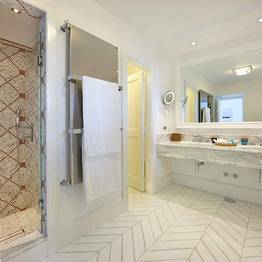 Majolica tiles from Vietri, custom dishware handpainted to order by Rosalinda from Sorrento, glassware by Venini from Murano: at Villa Treville, guests can savor the best Italian artisan crafts and design. 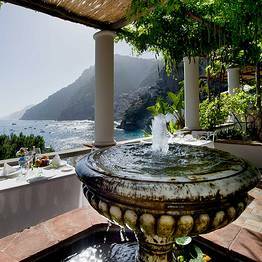 The grounds surrounding Villa Treville are made up of terraced lawns and gardens, stone pathways, and lush vines of bougainvillae framing the view. 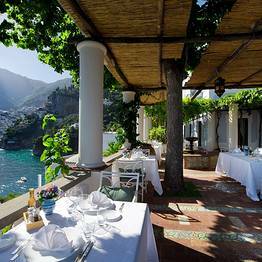 Guests can have breakfast at Club Lounge far into the morning while enjoying the view over Positano, or order a light lunch, fresh fruit in the afternoon, or a romantic dinner under the stars. 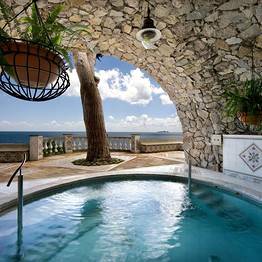 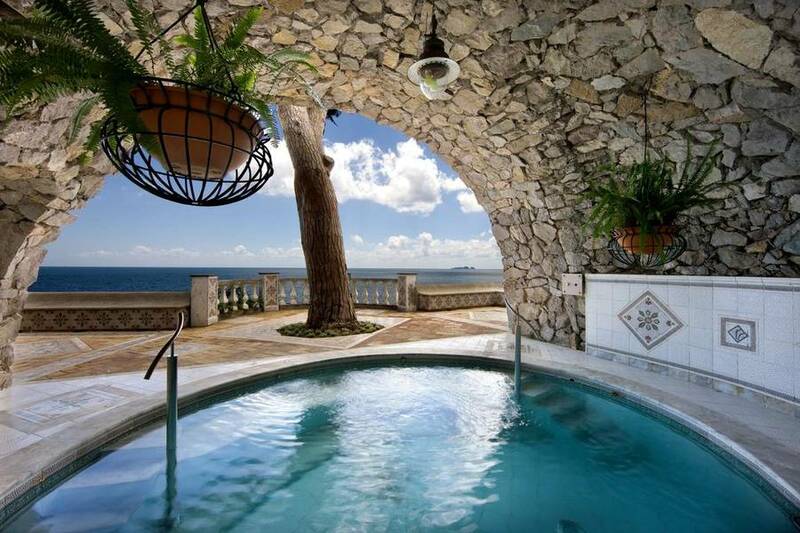 A highlight of your stay will certainly be a relaxing soak in the villa's hot tub with a view set inside a romantic grotto with exposed stone walls. 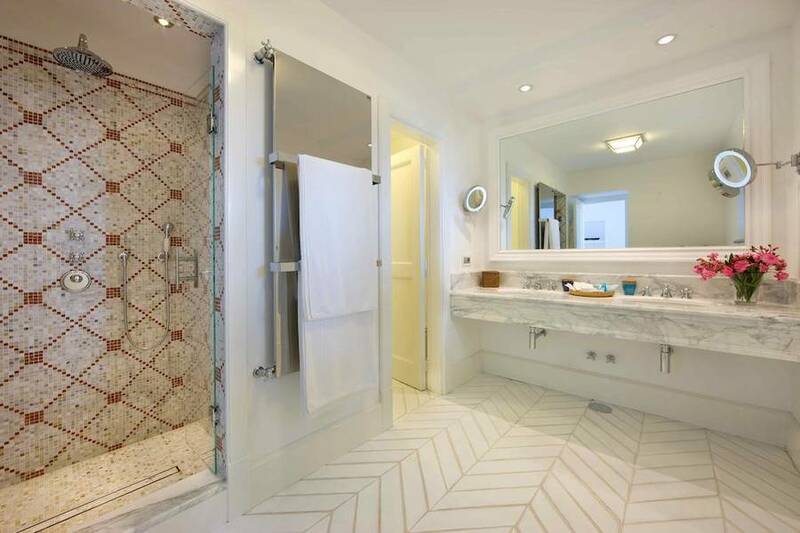 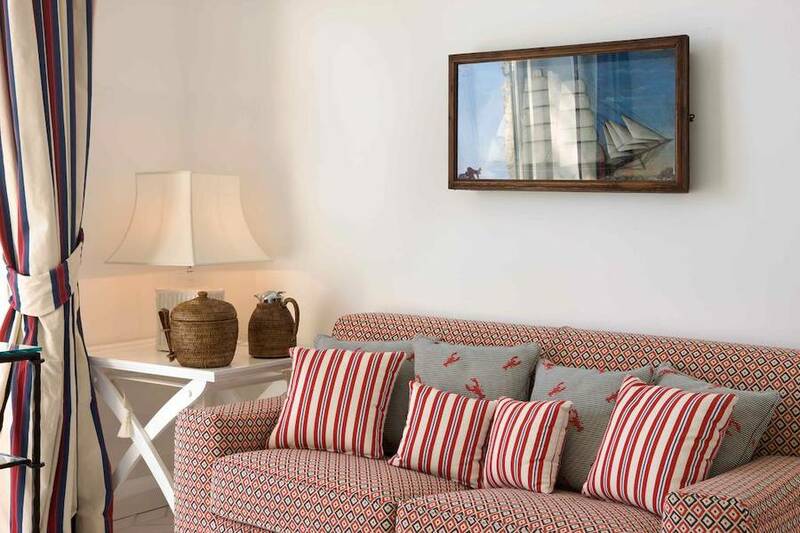 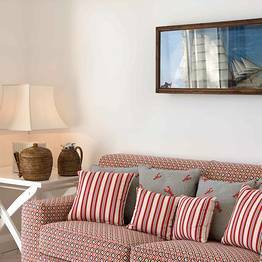 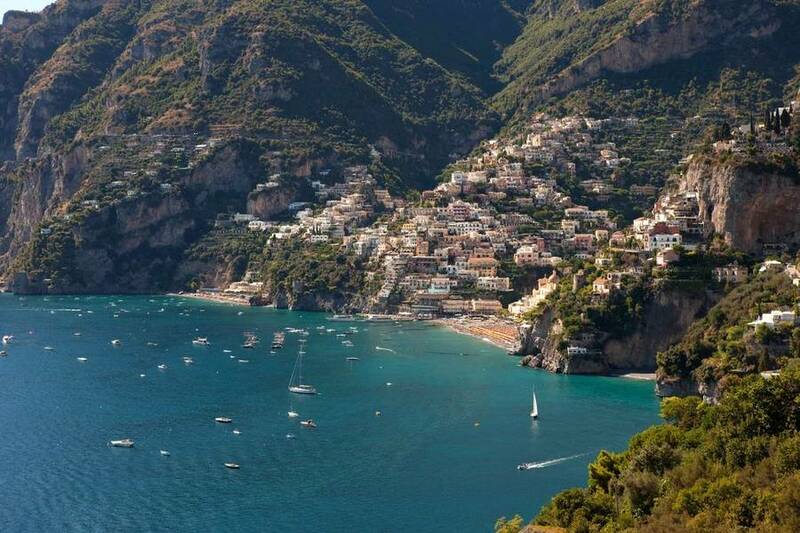 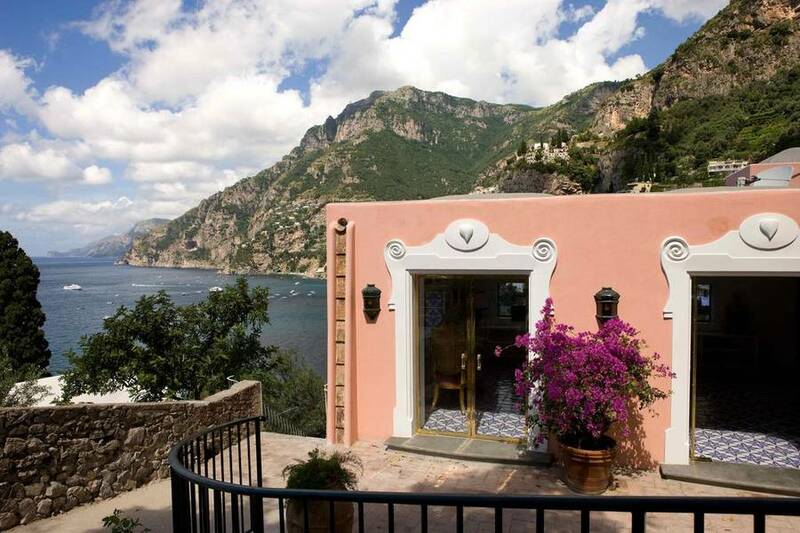 Guests can take the elevator from Villa Treville down to the private beach for a bask in the sun or, if you prefer, to board a private boat for the center of Positano. 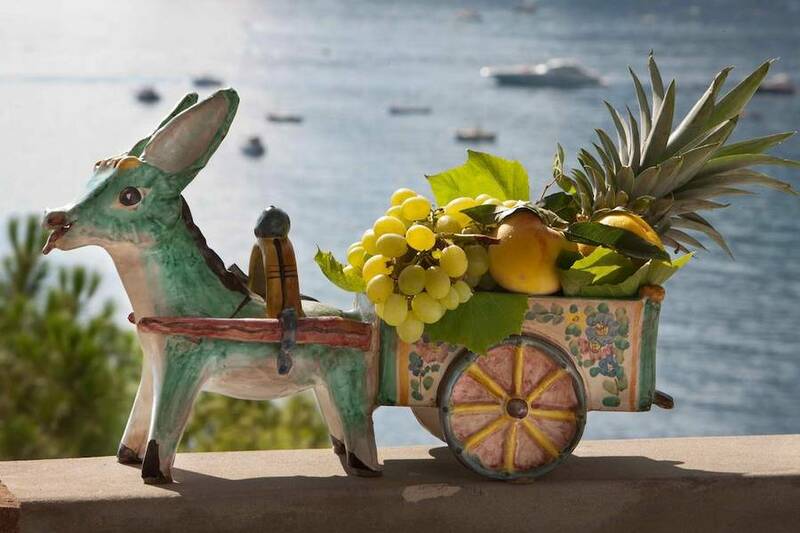 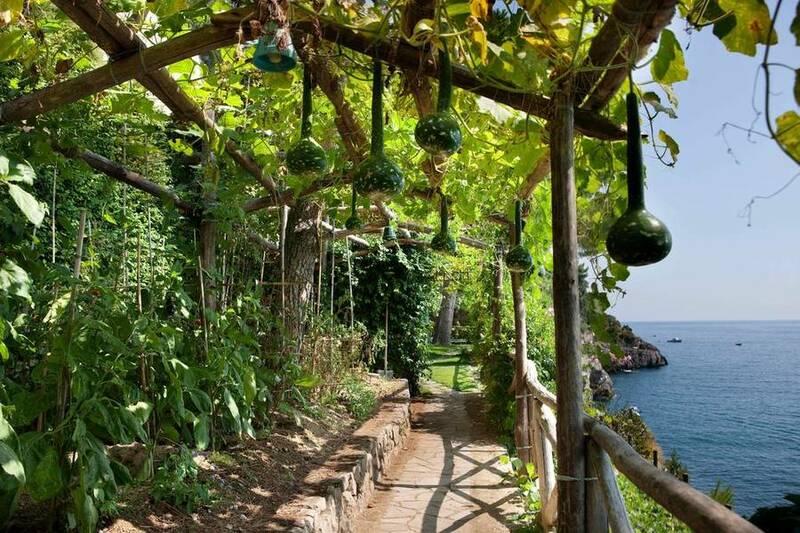 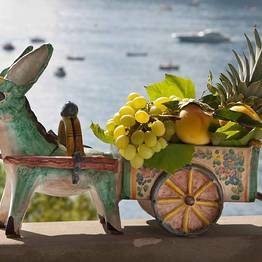 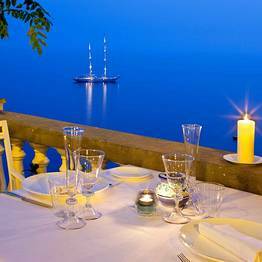 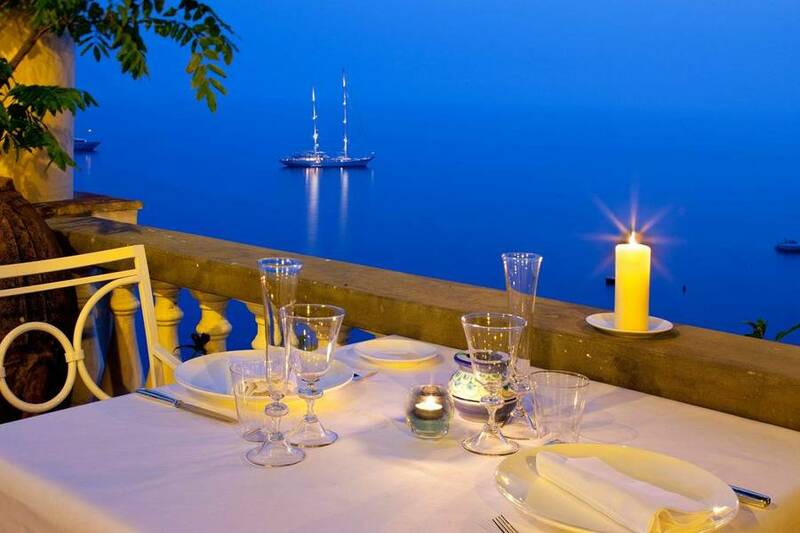 The staff at Villa Treville is available for restaurant recommendations or to arrange boat tours to Capri or along the length of the Amalfi Coast. 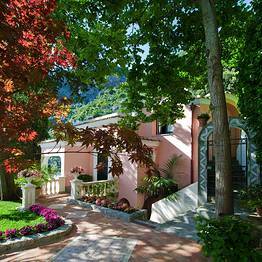 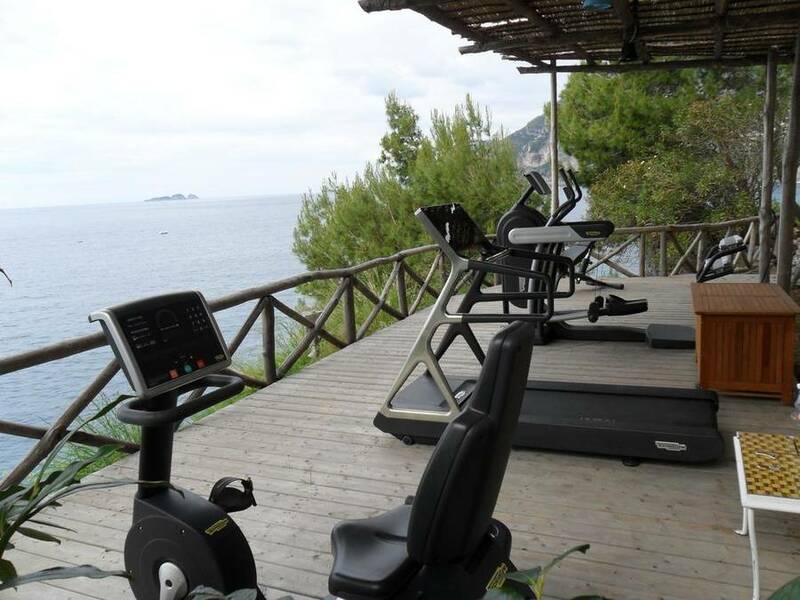 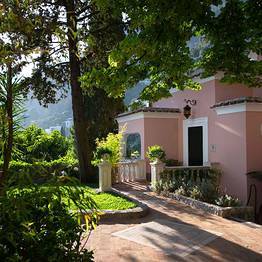 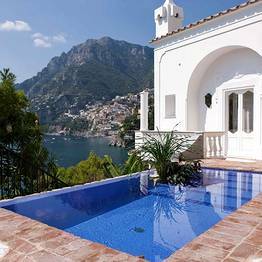 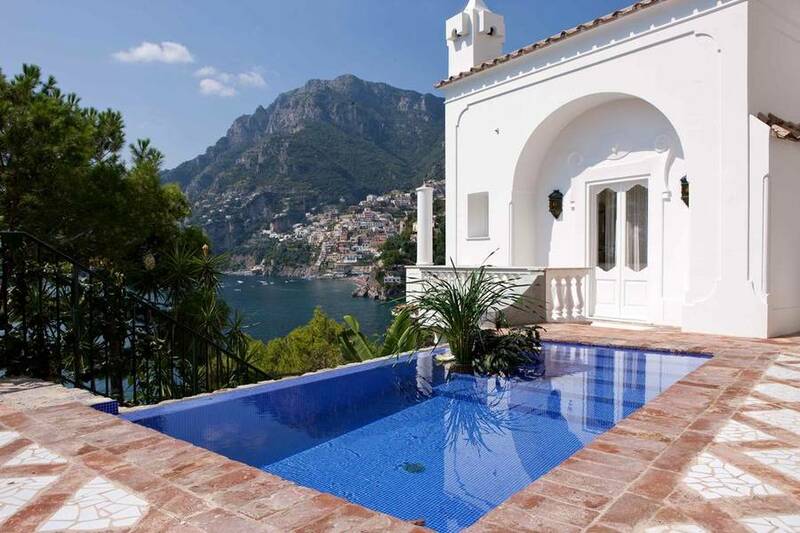 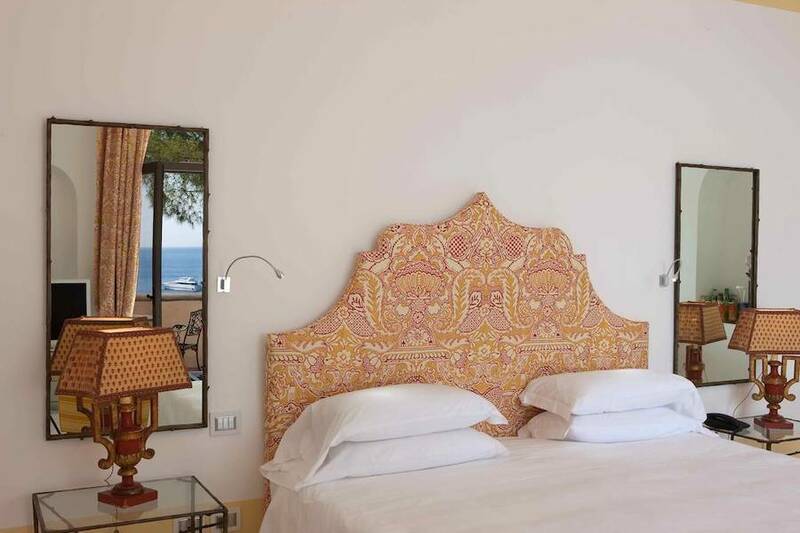 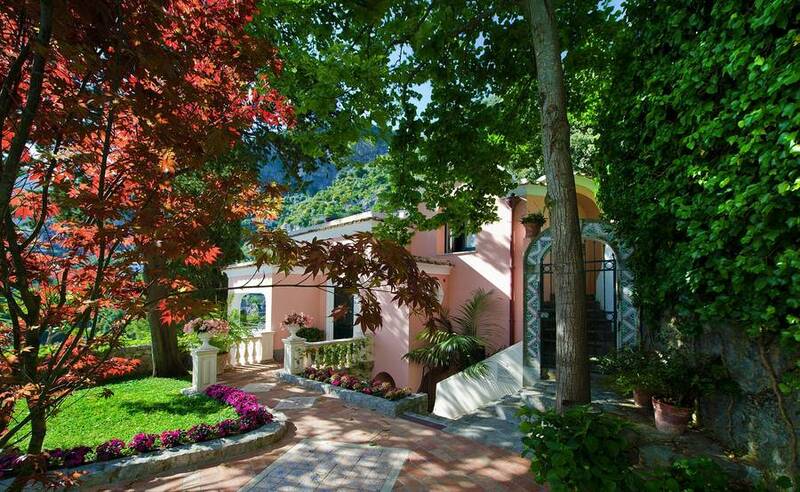 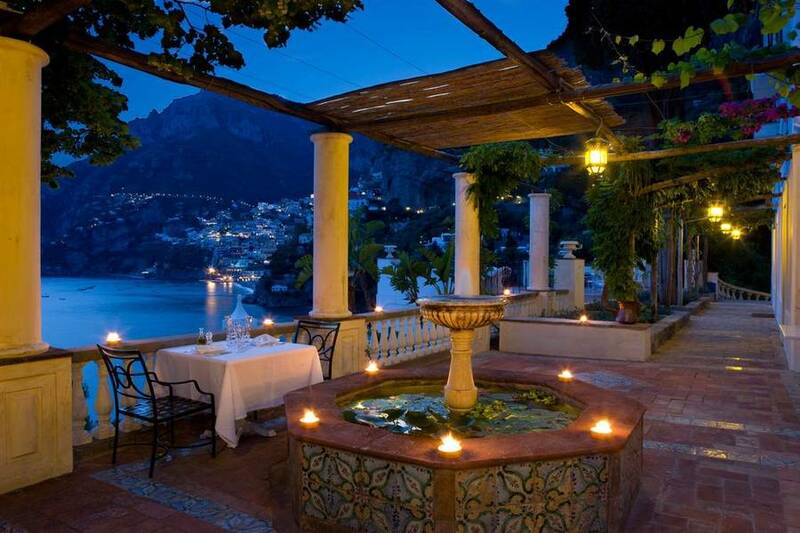 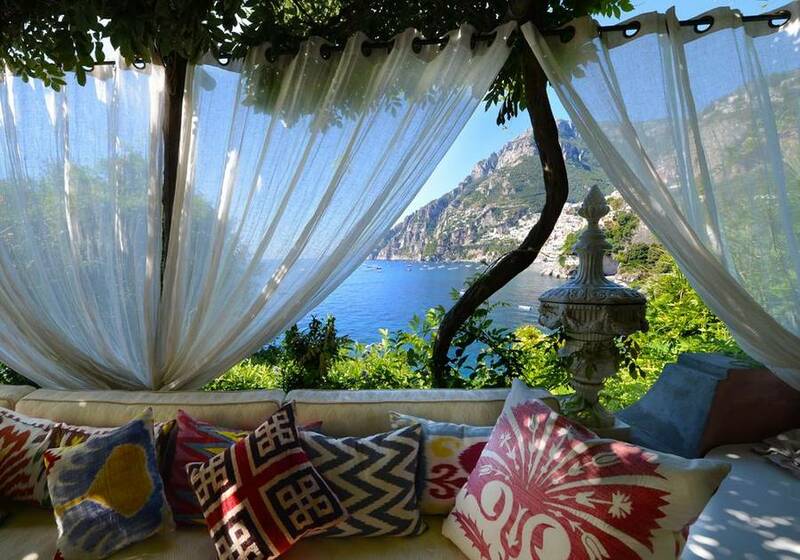 Villa Treville is set on the clifftop overlooking the Amalfi Coast with a breathtaking view of the Gulf. 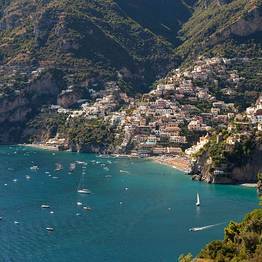 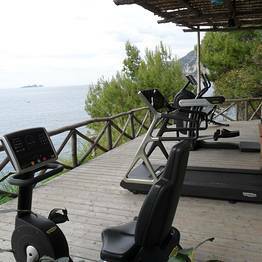 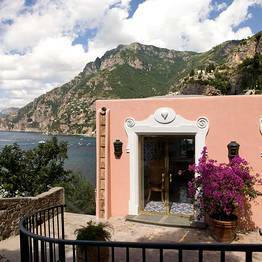 Just 15 minutes on foot to the center of Positano and 17 km to Sorrento, the complex is linked to a private beach with an elevator carved directly into the cliff. 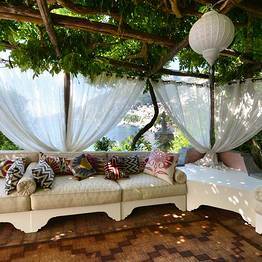 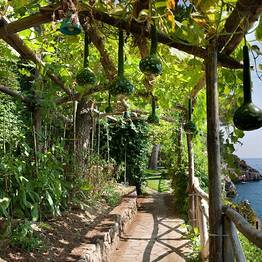 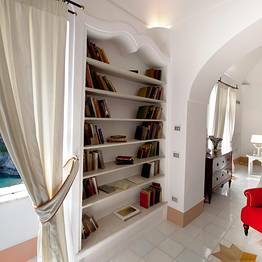 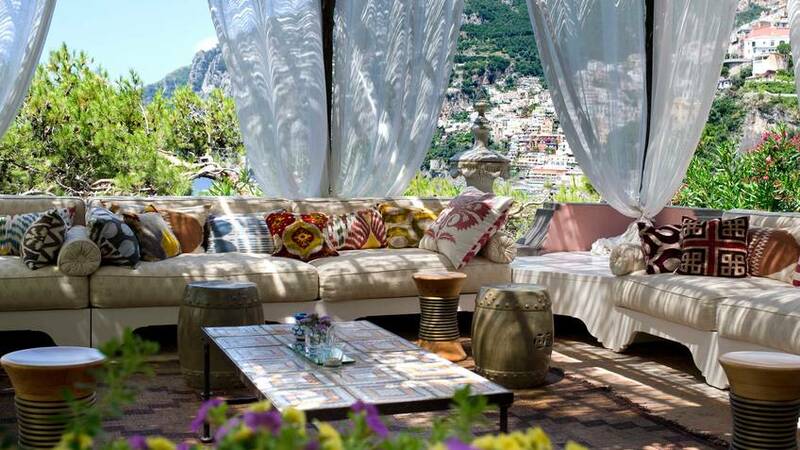 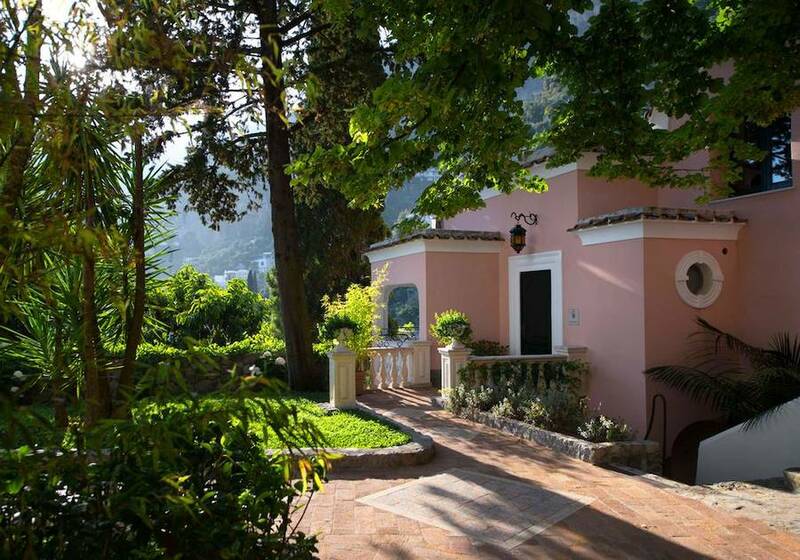 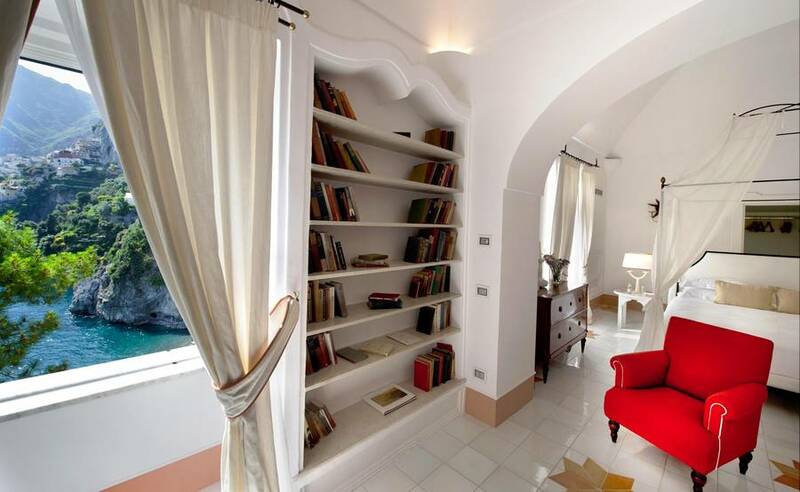 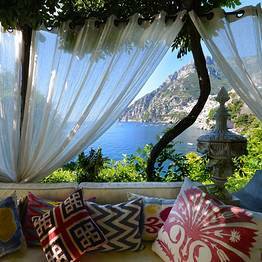 Book Villa Treville on Positano.com now with no additional booking fees. 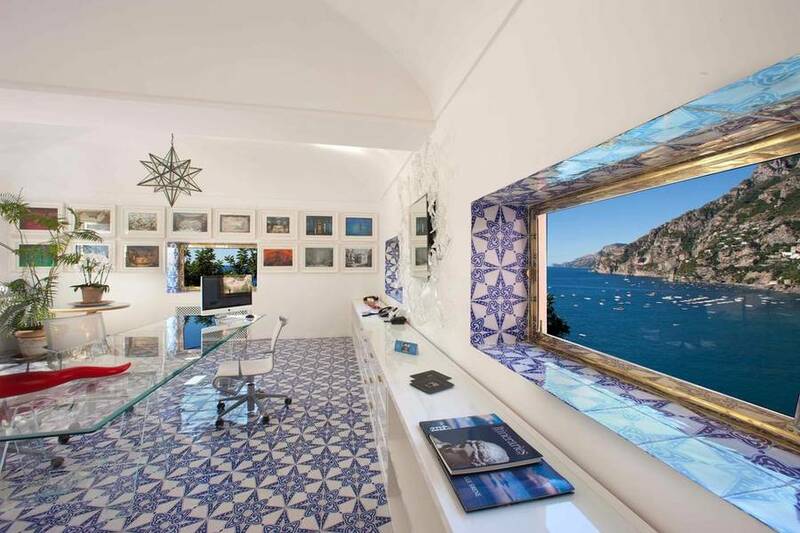 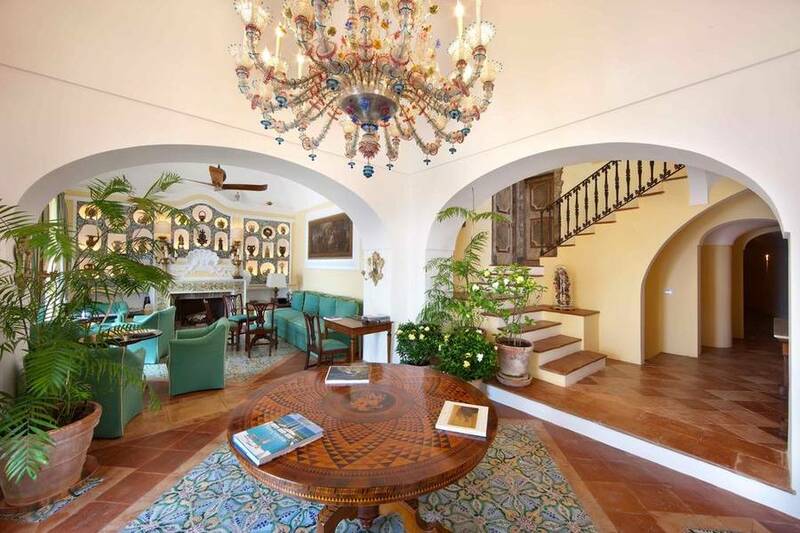 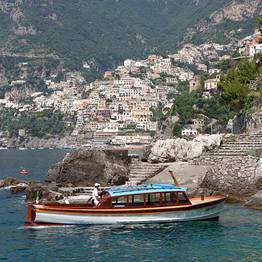 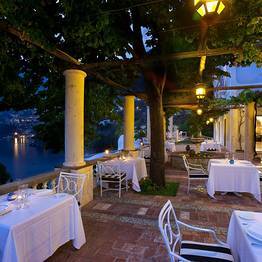 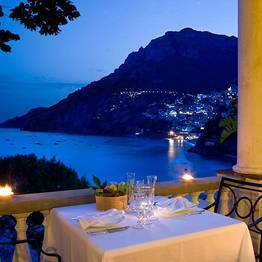 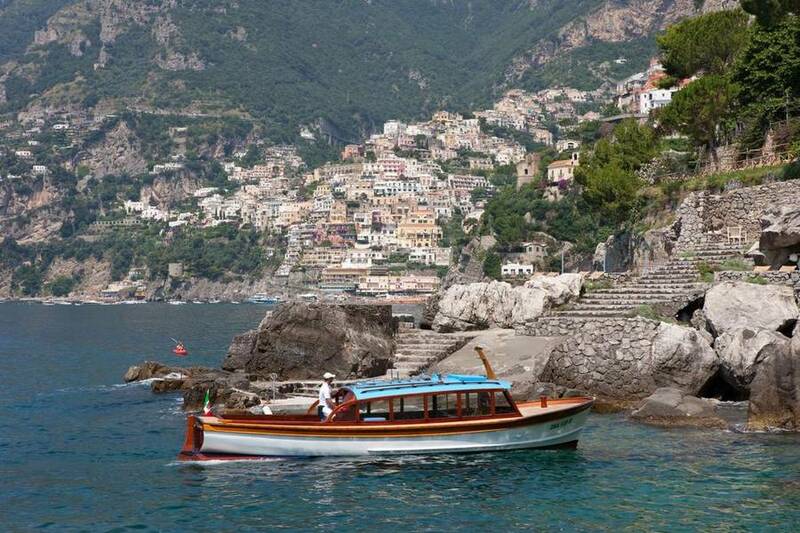 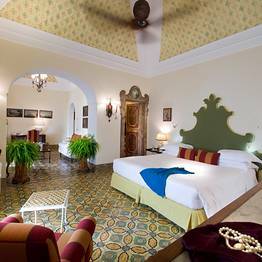 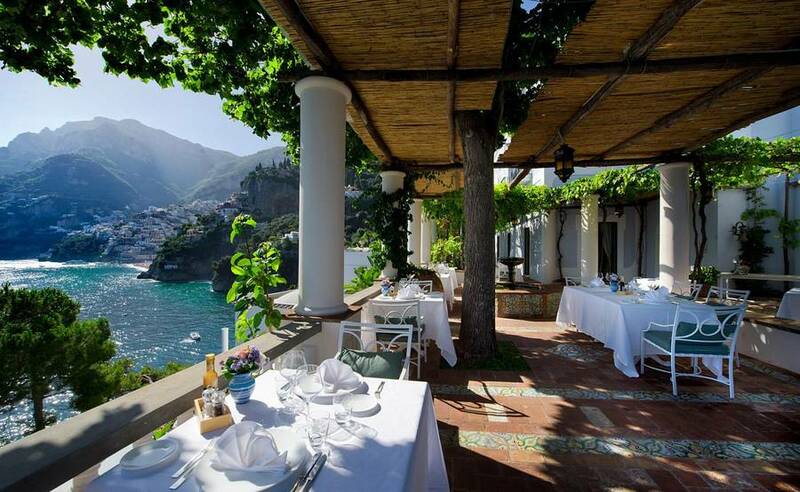 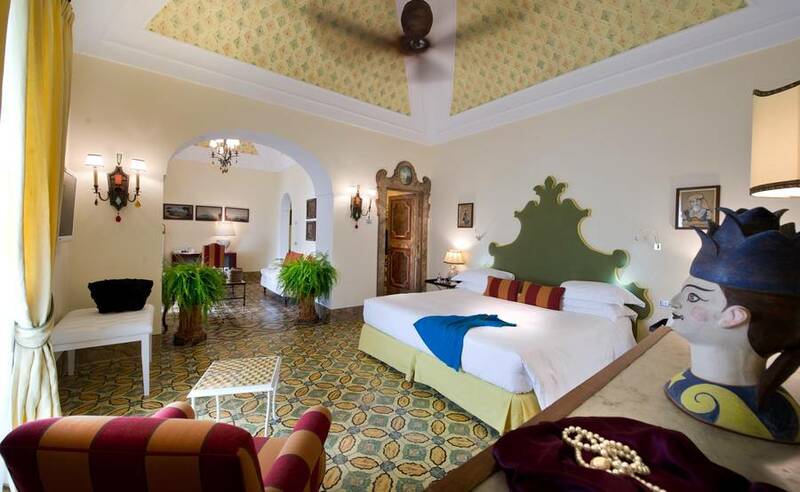 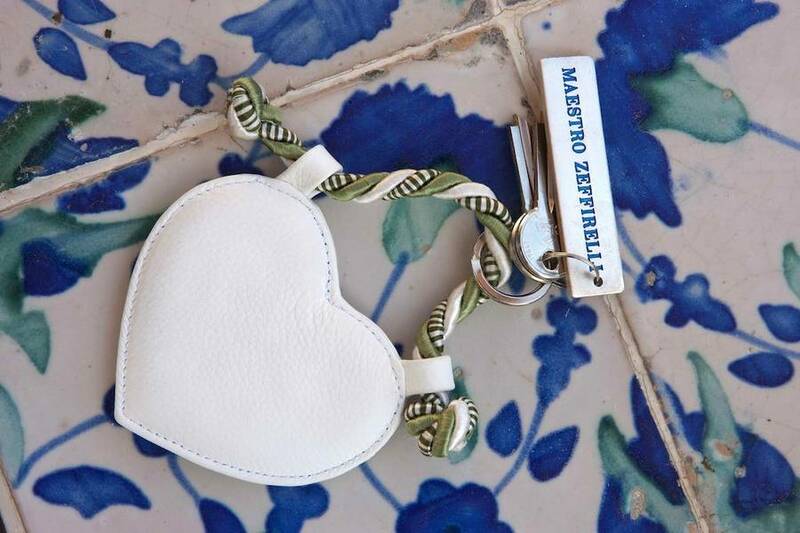 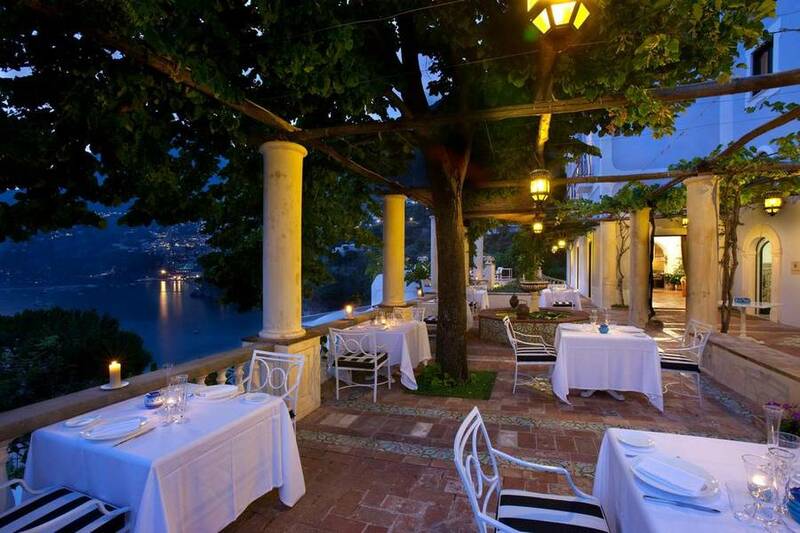 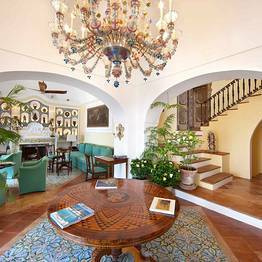 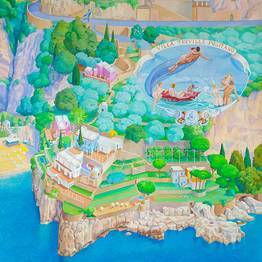 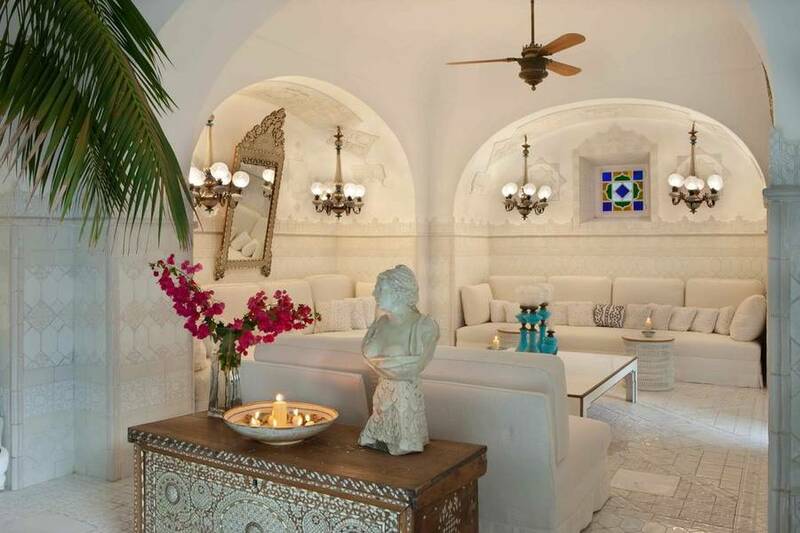 The jewel in the Amalfi Coast's crown!